Located in the picturesque village of Westport, R.E.Robicheau's is open year-round to service the needs of locals and visitors alike. Raymond E. Robicheau, a true entrepreneur, has run many businesses on his home of Brier Island over the years. After returning from the Second World War in 1946 with his wife Riekie Verburgh of Nijmegen, Raymond went on to invest his $900.00 gratuity from the war and purchased the A.R. Hicks store on October 10, 1948. Over the next twelve years he would acquire the Holland Titus' Store, E. C. Bower's Company, E. C. Coggins' Store and Mary Chayko's Store. By 1976 Robicheau had consolidated all of his businesses into the E. C. Bower's General Store. On February 2nd, 1976, Brier Island was ravaged by the Groundhog Day Storm. High winds and a large tide washed away much of the island's waterfront including the store. Within days R. E. Robicheau's was operating in its current location, the former Louie Repoole's Dry Goods Store. In 1986 Raymond Robicheau sold the store to his daughter Ruth Ellen. She would run the store until 1997 when it was taken over by her sister and brother-in-law Joyce and Wally de Vries. Under the leadership of its current owners, R. E. Robicheau Store has expanded to include a gift shop and café. 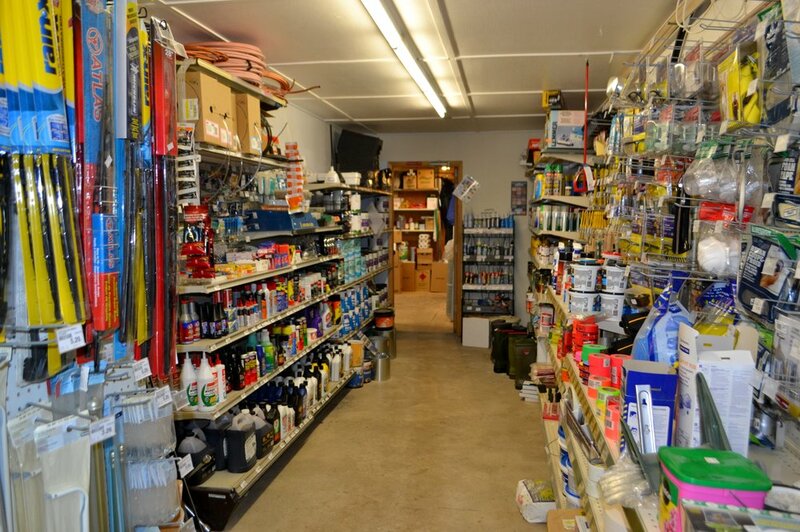 R. E. Robicheau's is still a traditional general store stocking groceries, hot coffee, daily-made sandwiches and baked goods, hardware, fishing and building supplies. On the premises is a Nova Scotia Liquor Commission outlet store with a wide variety of beer, wine and spirits.